Frontispiece to the Collection of Letters, 1660. Tobie Matthew was so close to Bacon that Bacon in a letter called him "another myself." "Profection domini Tobiae Matthaei, qui mihi est tanquam alter ego.."
English priest, born at Salisbury, 3 October, 1577, died at Ghent, 13 October, 1655. He was the son of Dr. Tobie Matthew, then Dean of Christ Church, Oxford, afterwards Anglican Bishop of Durham, and finally Archbishop of York, and Frances, daughter of William Barlow, Anglican Bishop of Chichester. Tobie Matthew matriculated from Christ Church, Oxford, 13 March, 1589-90, and became M.A. 5 July, 1597. He seems to have been harshly treated by his parents, who were angered at his youthful extravagance. On 15 May, 1599, he was admitted at Gray's Inn, where he began his close intimacy with Sir Francis Bacon, and two years later became M.P. for Newport, Cornwall. During this period of his life he frequented the dissolute court of Elizabeth. On the accession of James I he sat in Parliament for St. Alban's, and joined the new court, receiving a large grant from the Crown which amply provided for his future. Having always desired to travel, he left England in November, 1604, visiting France on his way to Florence, though he had promised his father he would not go to Italy. At Florence he came into the society of several Catholics and ended by being received into the Church. A new persecution was raging in England, but he determined to return. He was imprisoned in the Fleet for six months, and every effort was made to shake his resolution. Finally he was allowed to leave England, and he travelled in Flanders and Spain. In 1614 he studied for the priesthood at Rome and was ordained by Cardinal Bellarmine (20 May). The king allowed him to return to England in 1617, and he stayed for a time with Bacon whose essays he translated into Italian. From 1619 to 1622 he was again exiled, but on his return was favourably received by the king, and acted as an agent at court to promote the marriage of Prince Charles with the Spanish Infanta. In the same cause James sent him to Madrid and on his return knighted him, 20 Oct., 1623. During the reign of Charles I he remained in high favour at court where he laboured indefatigably for the Catholic cause. When the Civil War broke out in 1640 he, now an old man, took refuge with the English Jesuits at their house at Ghent, where he died. He was always an ardent supporter of the Jesuits. and. though it has long been denied that he was ever himself a Jesuit, papers recently discovered at Oulton Abbey show strong reason for supposing that he was in fact a member of the Society. Besides the Italian version of Bacon's "Essays", he translated St. Augustine's "Confessions" (1620), the Life of St. Teresa written by herself (1623), and Father Arias's "Treatise of Patience" (1650). 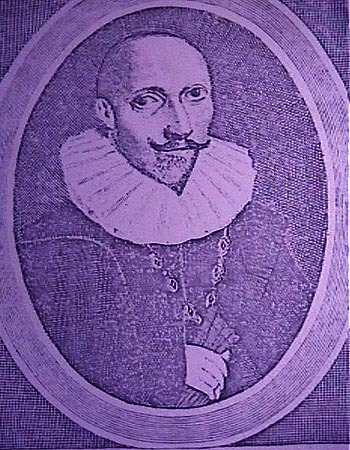 His original works were: "A Relation of the death of Troilo Severe, Baron of Rome" (1620); "A Missive of Consolation sent from Flanders to the Catholics of England" (1647): "A True Historical Relation of the Conversion of Sir Tobie Matthew to the Holie Catholic Faith" (first published in 1904), some manuscript works (see Gillow, " Bibl. Dict. Eng. Cath. ", IV, 541-42). His letters were edited by Dr. John Donne in 1660. "The most prodigious wit that I knew of my nation, and of this side of the sea, is of your Lordship's name, though he be known by another." Praise is not confined to the qualities of his intellect, but applies as well to those which are matters of the heart, the will and moral virtue; being a man both sweet in his ways and coversation, grave in his judgments, invariable in his fortunes, splendid in his expenses, a friend unalterable to his friends, an enemy to no man, a most indefatigable servant to the King, and a most earnest lover of the Public, having all the thoughts of that large heart of his set upon adorning the age in which he lives, and benefiting, as far as possible, the whole human race. And I can truly say (having had the honour to know him for many years as well when he was in his lesser fortunes as now he stands at the top and in the full flower of his greatness) that I never yet saw any trace in him of a vindictive mind, whatever injury was done to him, nor ever heard him utter a word to any man's disadvantage which seemed to proceed from personal feelings against the man, but only (and that too very seldom) from judgment made of him in cold blood. It is not his greatness that I admire, but his virtue; it is not the favours I have received from him (infinite though they be) that have thus enthralled and enchained my heart, but his whole life and character; which are such that, if he were of an inferior condition I could not honour him the less, and if he were my enemy I should not the less love and endeavour to serve him." It will go near to pose any other nation of Europe, to muster out in any age, four men, who in so many respects should excel four such as we are able to show them : Cardinal Wolsey, Sir Thomas Moore, Sir Philip Sidney and Sir Francis Bacon. The fourth was a creature of incomparable abilities of mind, of a sharp and catching apprehension, large and faithful memory, plentiful and sprouting invention, deep and solid judgment,for as usch as might concern the understanding part. A man so rare in knowledge, of so many several kinds endued with the facility and felicity of expressing it in all so elegant, significant, so abundant, and yet so choice and ravishing a way of words, of metaphors and allusions as, perhaps, the world hath not seen, since it was a world. "I will not return you weight for weight but Measure for Measure." CON Concluding, ftay, not yet. OBEY Obey, and be attentiue. If Matthew was Bacon's alter ego then they must, indeed, have been "two alike." The added word "banito" is Italian and means banished. So now we have the message : F. Bacon, Tobey, Two Alike, banished. That is applies to Tobey Matthew is well known. While he was on the continent he became converted to Catholicism, and when he returned to England he felt that the oath of allegiance to King James contained clauses which conflicted with his faith. Therefore he refused to take the oath, and, as a result, was banished from England in 1608.There is nothing on the surface to indicate "banished" applies to Bacon. However, Baconians have long claimed exactly this. They claim Bacon was the son of Queen Elizabeth, and due to her refusal to acknowledge this, was banished from his rightful heritage as king of England.This message raises two questions. First, could such a message occur as a result of chance? Second, if the message was not the result of chance, what does it mean? against the probability of this message having resulted from random chance. Friedman laid down the following criteria to guide the searcher,"..if the plain text message makes sense", he said, " if the chances of it appearing by accident are one in one thousand million, his confidence in the solution will be more than justified." Therefore, in considering the message chance cannot be."